On Tuesday, the Trump administration signed a preliminary agreement with Brazil that could one day lead to US rockets launching from the South American country’s coastal spaceport. President Trump praised the idea of using the site, arguing that “because of the location, tremendous amounts of money would be saved.” But while the launch site offers up a few key benefits to US launch providers, it’s possible that these advantages may not be enough to draw all major rocket companies to the area. The biggest asset of Brazil’s spaceport is its proximity to the equator. The site, known as the Alcântara Launch Center, is located at a latitude of just 2.3 degrees south. For anyone launching a rocket, that’s a juicy spot. There aren’t many options on Earth for launching that close to the equator, and the site would make it much easier for satellite operators to send payloads into an equatorial orbit. Additionally, rockets at the equator get an extra boost in speed, thanks to the Earth’s rotation, which helps rockets save on fuel. 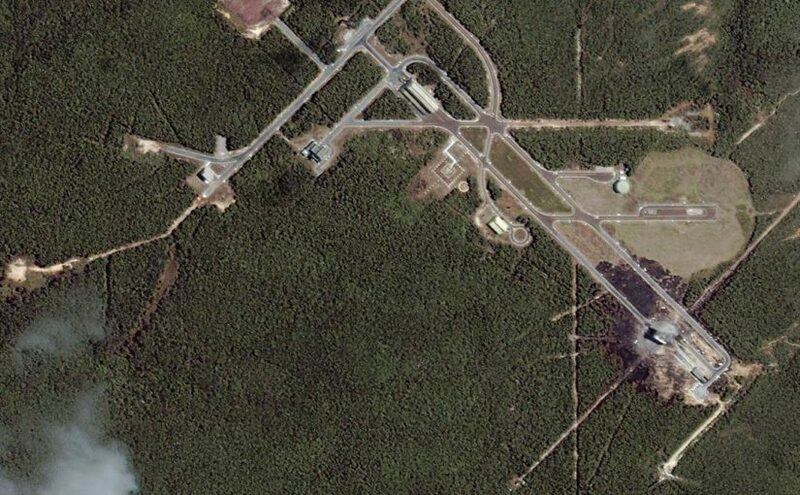 However, the logistics of setting up a new launch site in Brazil could be an issue for some. 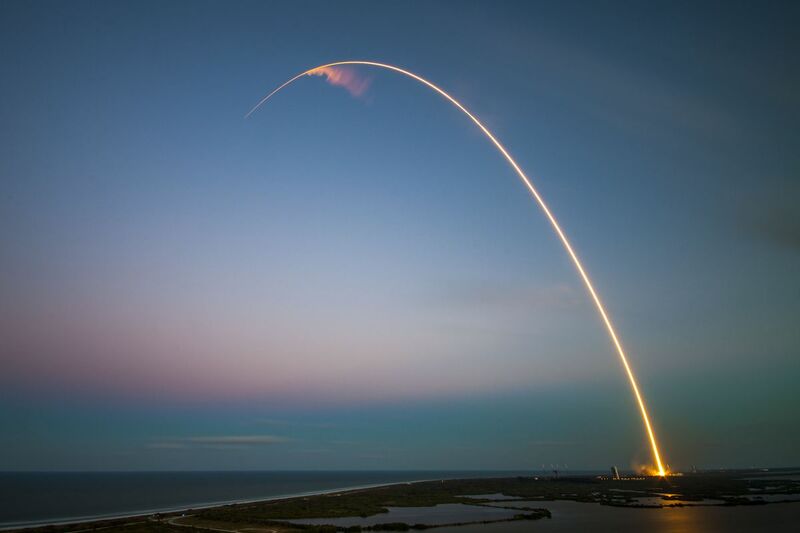 The larger US rocket companies, such as SpaceX, the United Launch Alliance, and Blue Origin, already have multiple options for launching out of the US that are relatively close to the equator. A new site would need a lot of upfront investment in order to create the ground infrastructure in Brazil to support each company’s unique rocket design. It’s a lot of money and work for a small amount of benefit in flights. Plus shipping overseas to Brazil can add an extra layer of time and money that wouldn’t be an issue when launching from the US. There are some launch providers on the smaller end of the rocket scale that see big opportunities in Brazil. 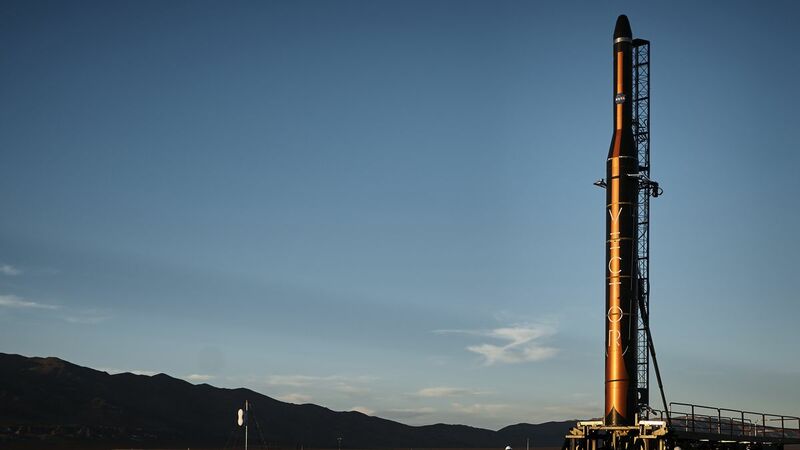 Companies like startup Vector, which are focused solely on launching small satellites, have openly advocated for the chance to launch out of Alcântara. It would allow them to launch missions that they simply cannot do in the United States because of their smaller size. Since the company’s hardware isn’t as big as that of a Falcon 9 or an Atlas V rocket, very little investment is needed to make the launchpad infrastructure. “I think it’s really going to be the domain of the future small rockets that go there,” Jim Cantrell, CEO and co-founder of Vector, tells The Verge. Rockets launching again from Alcântara would reinvigorate what was once a major national resource for Brazil. Numerous sounding rockets took flight from the area throughout the 1990s. But in 2003, a rocket intended for orbit exploded on the site’s launchpad during some ground tests, killing 21 people nearby and leveling the pad’s launch tower. The accident halted Brazil’s efforts to launch two planned satellites, and the country’s space efforts have had difficulty recovering. 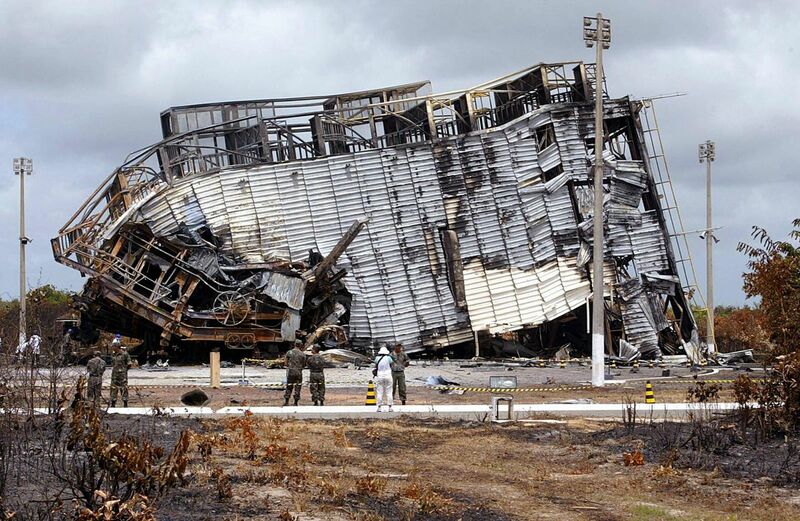 Wreckage at the Alcântara Launch Center, following the 2003 explosion. Since then, Brazil has been looking for international partnerships to bring other countries’ vehicles to Alcântara. The country even courted the Bush administration back in 2000 to bring commercial launches to the site, but those efforts were met with opposition from Brazilian lawmakers. Now, Brazil is trying again. In 2018, the government invited two major US players in aerospace, Boeing and Lockheed Martin, to visit Alcântara, according to a report in Reuters. The goal is to offer up a cheaper location than the nearby Guiana Space Centre in South America’s French Guiana where all of Europe’s rockets take flight. Alcântara boasts a few impressive geographic benefits that are needed for a spaceport. It’s on the coast of Brazil, with the Atlantic Ocean to the east. That’s key for a launch site, as many rockets launch eastward to match the direction of Earth’s orbit. Launching over a large body of water is important for safety, as it reduces the risk of a falling rocket part hitting someone on the ground or damaging someone’s property. It’s the reason why US launches occur in coastal areas, such as Cape Canaveral, Florida, or the Vandenberg Air Force Base in California. Brazil has a slight advantage over Cape Canaveral, which is located at around 28.5 degrees north. Being near the equator is great for sending satellites into a type of orbit known as a geostationary orbit. This is a path 22,000 miles above the Earth’s equator where satellites are traveling at the same speed as the Earth’s rotation. The result is that satellites basically hover over the same patch of Earth at all times. It’s a perfect spot to deposit a communications satellite or a surveillance probe that needs to look at the same region of the planet at all times. Getting to geostationary orbit from Florida takes a little extra work, though. Rockets must deposit a satellite on a path that’s slightly askew from the equator (at a 28.5-degree tilt), and the satellites then need to change their direction in orbit by burning an onboard engine. That requires fuel, which takes up space on a satellite and influences the vehicle’s design. At a spot like Alcântara or the Guiana Space Center, such a plane change would be minuscule, requiring less fuel. Additionally, the Earth is actually moving faster at the equator than other points on the planet, which is good news for rockets. The Earth’s equator is its widest section, so it has a long way to travel each time the planet makes a full 24-hour rotation. One spot on the equator has to go a much greater distance than a spot near the poles, for instance. So a rocket launching on the equator gets an extra speed boost, making it easier for the vehicle to reach the extra high velocities needed to achieve orbit. The rocket doesn’t need as much fuel, making launches more efficient and potentially allowing companies to pack in more cargo on a flight. “You can use a less powerful rocket to launch the same satellite, or you can launch a bigger satellite using the same launch vehicle,” Lakshmi Kantha, a professor of aerospace engineering at the University of Colorado Boulder, tells The Verge. WHO ACTUALLY WANTS TO LAUNCH FROM BRAZIL? However, moving by boat is time-consuming and somewhat costly, especially when traveling to Brazil via the Panama Canal. “That, of course, is one of the problems with ships — they’re very slow,” says Jenkins. 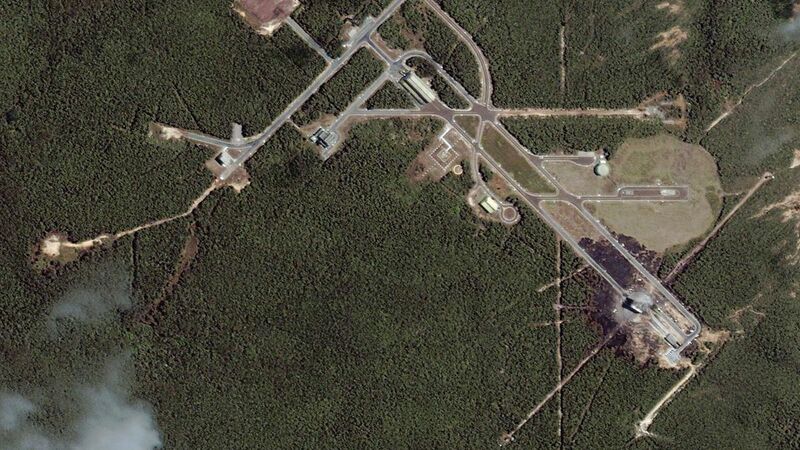 Having a launch site closer to where a rocket is built does make things more efficient. Recently, SpaceX CEO Elon Musk noted that the company’s next-generation rocket, the Starship, would be built in Texas and Florida, next door to two of SpaceX’s launch sites. Plus, locations like Texas and Florida are still quite far south, so the performance benefit of moving even farther south isn’t going to be as consequential for US companies, as it would be for Russia or European nations. Then there’s the cost of outfitting Alcântara to meet a launch provider’s needs. For larger rockets, companies will have to add concrete pads, towers, and fuel storage tanks to the surrounding area to support flights of their vehicles. Creating all of that in the Brazilian jungle, where there is minimal infrastructure in place already, will require a lot of work and investment. Plus, all of this would be in service to booking more missions to geostationary orbit, which is a type of flight that has seen a recent downturn in the market. A Vector rocket, which stands about 40 feet tall. SpaceX already told Reuters that it was not interested in building at Alcântara and declined to comment to The Verge. Boeing and Lockheed Martin, which oversee the United Launch Alliance, confirmed they had looked at the site but haven’t made any major plans to invest there yet. “While we have made no concrete plans at this time, the potential for a new launch site is an encouraging development given the global interest in fast and efficient launch opportunities,” a representative for Lockheed Martin said in a statement to The Verge. Boeing declined to comment. Ultimately, Alcântara may be a better investment for rocket companies that don’t look like SpaceX or ULA, ones that are chasing another market entirely. Companies like Vector are only capable of launching smaller satellites to low Earth orbit, and these types of probes are incapable of changing their directions significantly in space. So if a small satellite operator wants to go into a lower orbit over the equator, they basically have to launch at the equator. “Virtually nobody is launching any rockets to low Earth orbit equatorial orbits,” says Cantrell. “Virtually nobody.” Vector hopes to be one of the first companies to offer that option, claiming that around 10 customers have asked for it. An extra boost in speed for a small launcher like Vector means much more than for SpaceX or the ULA. It could be the difference between launching 200 pounds and 300 pounds, opening up the company to different types of missions. Plus, the infrastructure and transportation costs for Vector’s smaller rockets are less of an inconvenience. “All we really need there is a concrete pad like we built already in Alaska, and we need permission to launch,” Cantrell says, adding that the company’s rocket can fit inside of an airplane. Alcântara is nowhere close to being open for the US rocket business yet. The US signed what is known as a technology safeguards agreement with the company, which is the same kind of agreement Bush signed back in 2000. The deal needs to be approved by the Brazilian Congress, and if that happens, there are still a lot of regulatory hurdles to go through. But if it is allowed someday, the site seems much more suited for smaller rockets than bigger ones. “Oh I am not that creative”- we all must have heard this sentence a number of times. And if you are someone who thinks that being creative is not everybody’s cup of tea, then let us break this myth for you. Nobody is born creative, the art of thinking out of the box is an acquired one. Let us put this straight that everyone is creative in their own way. Actually calling yourself non creative is a toxic mentality to have. Creativity is often understood as a way of thinking that is different and unique. You have to first make yourself believe that you can do anything, and then take the right steps to do it. The reason why you think you are not that creative is because you are in all likelihood comparing yourself with others who are famous. You cannot compare yourself to Pablo Picasso or Lady Gaga; they are good at what they do and you may be great at what you do. Never consider your job as finished. Once the deadline approaches, we finish our work and consider it done and do not revisit it again. But if you are a creative soul, you know deep down that a project is never completed. Every time you revisit that particular work, you come up with a different alternative, to make it better. Nobody sprouts ideas on their own, so no idea is an original one. Every single person needs some sort of inspiration and that source of inspiration could be anything. You just need to be a little observant so keep looking for new ideas. You never know when you’ll come across something magical. Some people are not creative because they do not look for things out of their comfort zone. Creativity will never come to you, you have to continuously keep searching for a new source of ideas. A true artist is the one who pushes his boundaries and gets out of their comfort zone. A truly creative person will be ready to take risks and willing to make mistakes. Never surrender yourself in front of others’ opinion. This is one of the hardest things to do. People may often ask you to compromise your ideas in return of a nice reward, but you have to be firm on your decision. It is you who has to decide what is most important. In order to be creative, you need to be brave. Embrace your mistakes and learn to accept rejections. It is obvious that when you will step out of your comfort zone and try new things, people will tell you not to go that way. They would criticise you for your decisions, but you need to be brave to follow your heart and not be afraid of their comments. If you want to be creative, never waste your spare time. Doodling is something that increases your productivity. Engage yourself in different kind of activities. More you absorb information, more creative you become. Try to challenge yourself every day, this helps a lot. 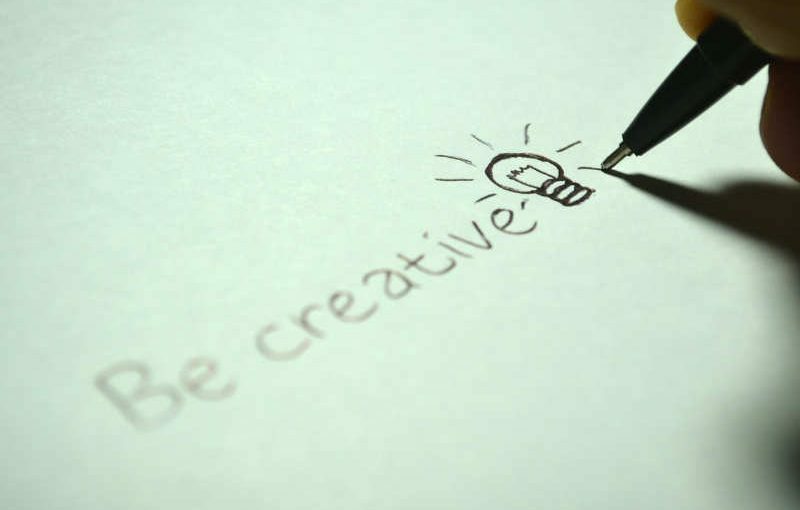 Try some creative exercises, this will help you to think quick and creatively. You can also try painting and colouring. Creativity never comes to those who lock themselves in a closed room. Look to nature for some ideas. Invest your time in nature as it is one of the best sources of inspiration. 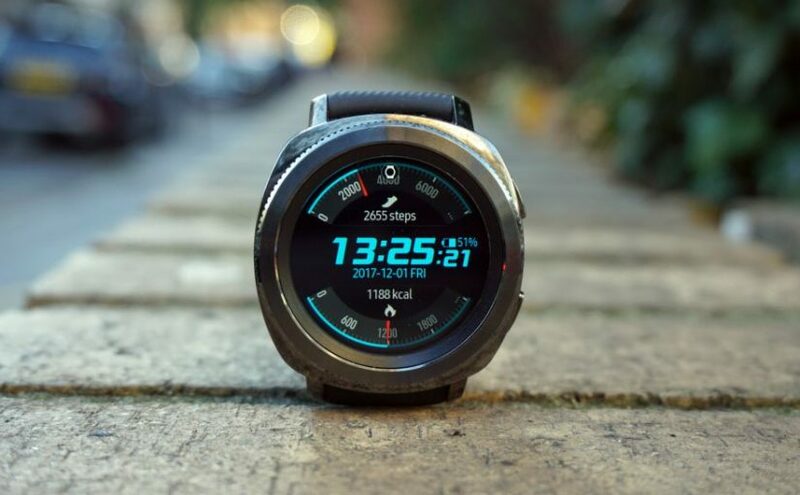 We’re not sure whether we’ll get a Gear Sport 2 or a Gear S4 next from Samsung, but one of them is probably in the works, and we’re starting to hear about what it might feature. You’ll find all that below, along with thoughts on the likely release date and price, and we’ll keep this article updated as we hear more. But while we wait for the leaks and rumors to properly start rolling in we’ve also come up with a wish list of what we want from the Samsung Gear Sport 2, as the previous Gear Sport is a capable but overly familiar wearable, so we’re hoping for some big changes for the next model. There aren’t any release date rumors yet, but with the Samsung Gear Sportbeing announced in August 2017 (before hitting stores in October) there’s a fair chance we’ll see the Samsung Gear Sport 2 in or around August 2018. Samsung also launched the Gear S3 and Gear S2 in August of previous years, so it’s very likely we’ll get some kind of smartwatch this August, though whether it will be called the Gear Sport 2, Gear S4 or something else entirely is currently unknown. As for the price, that will probably be at least as high as the Gear Sport, which launched for $299 / £299 / AU$499. While we haven’t seen any news or rumors that mention the Gear Sport 2 by name, we have seen a handful of Samsung smartwatch patents, so it’s possible that some of their features will be included in the Gear Sport 2. One of them talks about having a battery built into the strap, which could provide extra life to the watch or could simply replace the battery that would otherwise be built into the watch body, leaving extra room there for new features. Another details a blood pressure monitor, which could use a light source and a light receiver to monitor your bloodstream, somewhat similarly to how heart rate monitors work. Patently Mobile has also shared a patent (pictured above) which talks about a screen built into the bezel of the watch, which could potentially tell you things like the date and the weather, leaving the main display free for other functions. And another patent, this time spotted by 3Dnews, shows a watch that strangely has a camera built into the middle of the screen. The camera sports optical zoom and while it leaves you with less screen, that could be made up for by the strap, which also has a screen on it, shown in the patent as offering shortcuts to apps and functions. We wouldn’t count on any of these features making their way to the Gear Sport 2, especially as many seem ambitious or impractical, but anything’s possible. We don’t know much about the Samsung Gear Sport 2 yet, but we have plenty of ideas for what we want from it. Although the Gear Sport can track some things well, we found in our review that it had real issues tracking certain exercises, such as star jumps and lunges. Not only that, but it doesn’t provide training plans, so for example you have to manually set how many of each exercise you want to do each day, rather than the wearable gradually increasing the number over time on its own. We want to see some serious improvements for the Gear Sport 2. At the very least we want it to accurately track all the exercises that it claims to be able to, but ideally we also want it to push us to do more. Although the Gear Sport has a heart rate monitor it’s really not a very good one and it gets even less accurate in cold weather, so we’d like to see some major improvements here. Given that the Gear S3 also has a poor heart rate monitor though we’re not optimistic that the Gear Sport 2’s will be much better. Although not as bad as the heart rate monitor, the GPS performance of the Gear Sport also isn’t always great, proving slightly erratic in our review. Given that GPS is likely to be a key feature for many buyers it really needs to perform well. Hopefully it will do for the next model. 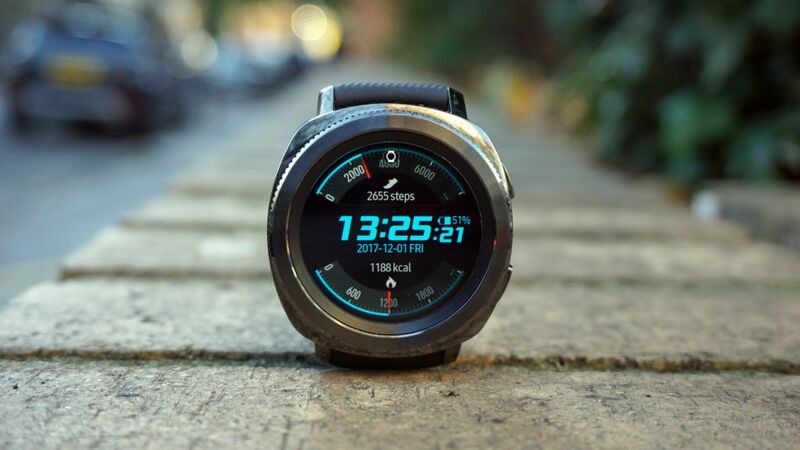 The Gear Sport is actually a downgrade from the Gear S3 when it comes to battery life, offering around two and a half days where its predecessor offered up to four. That’s still not awful, but it’s disappointing, especially when the watch looks to track your sleep as well – something you won’t be able to do so much if you’re regularly having to plug it in at night, so for the Gear Sport 2 we want to at least see a return to the life of the Gear S3. Not a big deal, perhaps, but the Gear Sport’s strap can be awkward to get through the holding loops, and what with the regular charges needed it is a watch you’ll be taking on and off quite a lot, so we hope that for the Gear Sport 2 Samsung gives the strap some thought, and makes it faster and less fiddly to put on. While the Gear Sport has some apps, including notable ones like Spotify and Swim.com, there isn’t a huge selection overall, even compared to other smartwatch platforms like Android Wear and watchOS. This is likely a side-effect of the Gear Sport using Samsung’s Tizen – an operating system which is less popular than rivals. We doubt Samsung will ditch Tizen for the Gear Sport 2, but hopefully it will convince some more big names to support the platform. The Samsung Gear Sport has a decent quality Super AMOLED screen, but at 1.2 inches it’s quite small, and a reduction in size from the 1.3-inch display on the Gear S3. We don’t want a massive screen on our wrists, but a return to the 1.3-inch displays of old could be desirable, as that small difference makes it slightly easier to interact with and means you can see more on your wrist at once. Samsung’s Gear Sport does seem like a limited upgrade, but new features including support for Spotify offline and swim tracking means this could be a great new watch for very particular sport lovers. 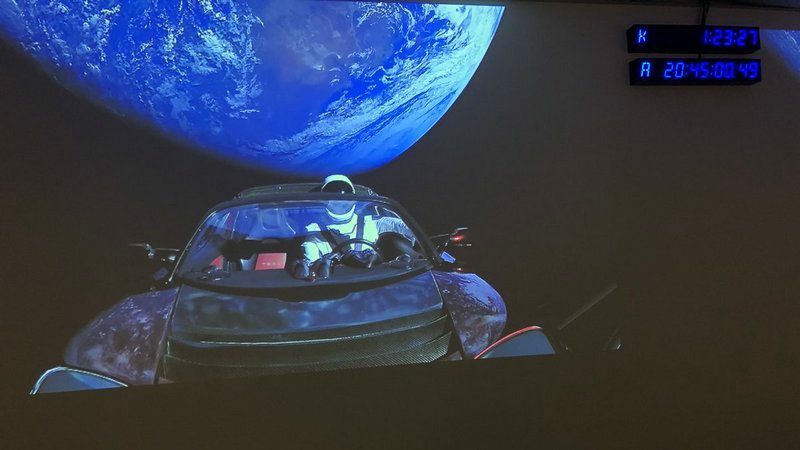 An electrical engineer working in the aerospace industry has created a website to track Tesla CEO Elon Musk’s Roadster – the car tied to Falcon Heavy rocket by SpaceX– which is zooming through space.